and was intended to be its flagship. "Big Four". 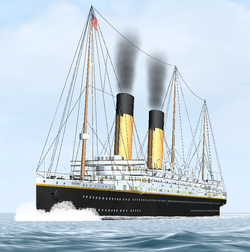 The name Olympic was later recycled for Titanic's sister ship. Queen's Island yard at Belfast, as was the tradition with White Star Line ships. You need to download all updates in order to make your model work properly.